Last week marked the 10th edition of the XP 200x conference, held in Sardinia, Italy. 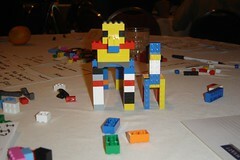 Me and Francisco were there to present an extended version of our Lego Lean Game. Being selected as the first session on the first day of the program, we were expecting a small audience, but it turned out to be quite well attended by about 20-25 people. We started the session a bit delayed, due to the lack of room organisation: I was a bit shocked when we arrived and the room was arranged as a normal “lecture room”, rather than the usual group tables (that we requested a week before). 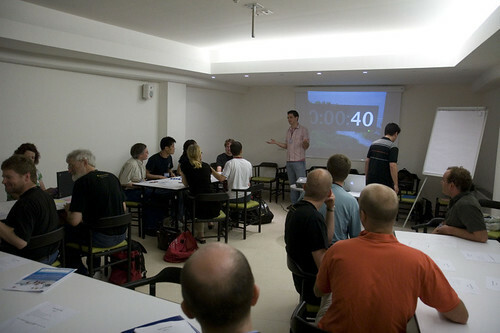 Projector and flipchart were not available, so it took us about 15 minutes to have everything ready to begin. 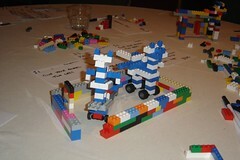 The slow start, however, did not got in the way of the overall workshop. We have designed the activities in a flexible way that allow us to adapt their length just-in-time so we still managed to cover everything we wanted without having to rush. View more OpenOffice presentations from frankmt. We are very interested in your feedback. So, if you were at the conference or want to use the material to run the workshop, please let us know! Share your experiences and help us make it better! May 14th, 2009[XP 2009] Lean Lego Game in Sardinia! 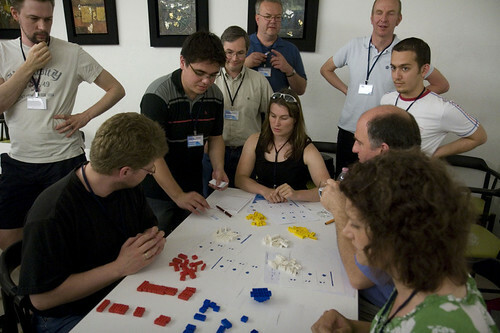 The Lean Lego Game: Me and Francisco have been improving our workshop since we last presented it at Agiles 2008 in Argentina, and we will be presenting a long version (180 minutes) on Monday, May 25th. We have just a few “seats” available to participate on the session (20-24) and it will be occupied in a first-come-first-serve basis. If more people show up we have plans to try and not reject anyone, though. Test Driven Development: Performing Art: Emily Bache kindly invited me to present a Prepared Kata at her workshop and I will be pairing with Francisco for 30-40 minutes, programming in Ruby with RSpec/Cucumber. Should be fun to “perform” and watch the other pairs as well. Looking forward to that session on Wednesday afternoon! My fellow ThoughtWorker Pat Kua will be there presenting a workshop as well. I will try to brush up my (lately lazy) writting skills and publish some conference reports. And hope to see you all there in Sardinia! 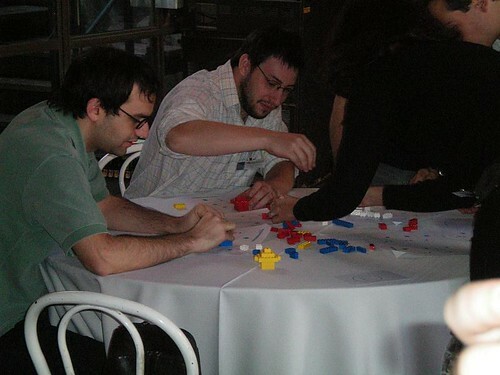 Continuing the series of conference reports, me and Frankie spend a day in Buenos Aires, Argentina to present a Lego(tm) Game we developed to teach some Lean practices and principles at Agiles 2008. The conference was held during the full week of 20-25 October, including three concurrent 2-day Certified Scrum Master trainings and Mary and Tom’s 2 day course on Lean Software Development. 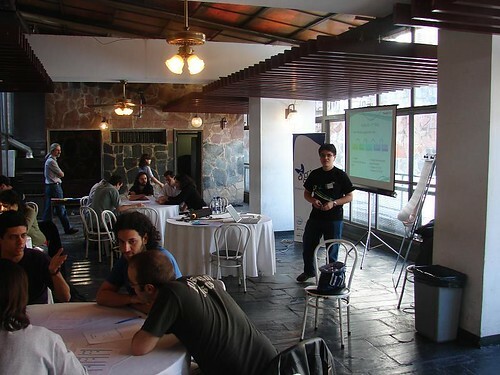 Unfortunately, we were not able to stay for the whole week, but spending one day gave us a pretty good impression of how Agile is growing in Latin America. 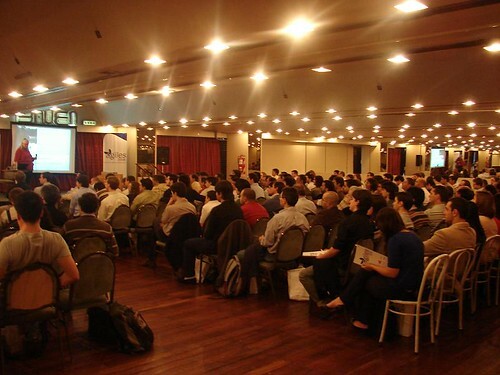 The conference had about 400 participants during these 5 days and they had to reject some of the 900 interested due to logistics constraints. As happened in the US and Europe, the major driver for Agile adoption is being Scrum and, as more people start adopting it, the more problems are uncovered about how they can improve on the “technical” engineering practices. Mary’s opening keynote was exactly about that: how important it is to look at the engineering side of Agile to make its success sustainable. This was the same talk she gave at Agile 2008, highlighting the successes and failures (Plank Roads) of our short software engineering history. I thought it was much better than the last time I saw it, and she managed to convey her message in a much more clear way: focusing on processes/life-cycle has been fragile, while strong technical and engineering practices has shown success throughout our history. Our workshop went really well: the number of participants and their level of knowledge on Lean matched exactly what we had in mind when we developed it. I’m not going to describe the dynamics of the session, because Frankie already did a good job in doing that. Suffice it to say that the feedback we received was great and that we already have some changes to make it even better. I’m also making the slides available here, although you would have to participate on the hands-on exercises to fully understand it. I think the overall message of our session was to show how some of the Lean practices work in practice, but also highlight the importance of Systems Thinking and the principles behind the practices. Blindly applying a practice may give you marginal results, but to fully embrace a Lean philosophy you need to keep learning and improving. There’s not an easy recipe to success. After a good lunch (with Argentinian steak and some Brazilian friends), we went back to the venue and didn’t have a lot of time to watch any other session, so we rushed to the airport. 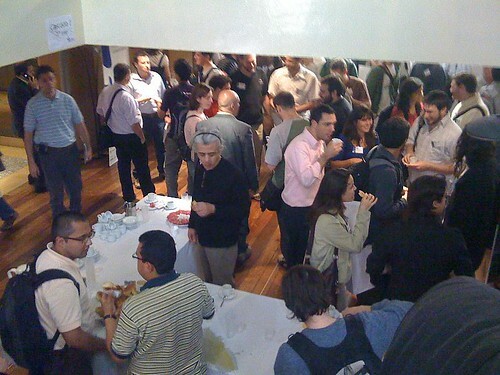 Next year’s conference is promissing to be even bigger, and besides wanting to stay for the whole week, I hope to see more Brazilians sharing their Agile experiences with the Latin American community. com Jeff Sutherland, Ward Cunningham, Ron Jeffries e Michael Feathers. Caminhamos até o hotel da conferência mais cedo para dar tempo de tomar café antes do Keynote com Peter Coffee. (que eu já li e estou devendo um review aqui). guardar um histórico de decisões que tomamos no meio do caminho e que com certeza iremos esquecer depois de um tempo. demora para chegar a um acordo sobre o que deve ou não entrar no contrato. E o fato é: ninguém sabe o que irá acontecer. 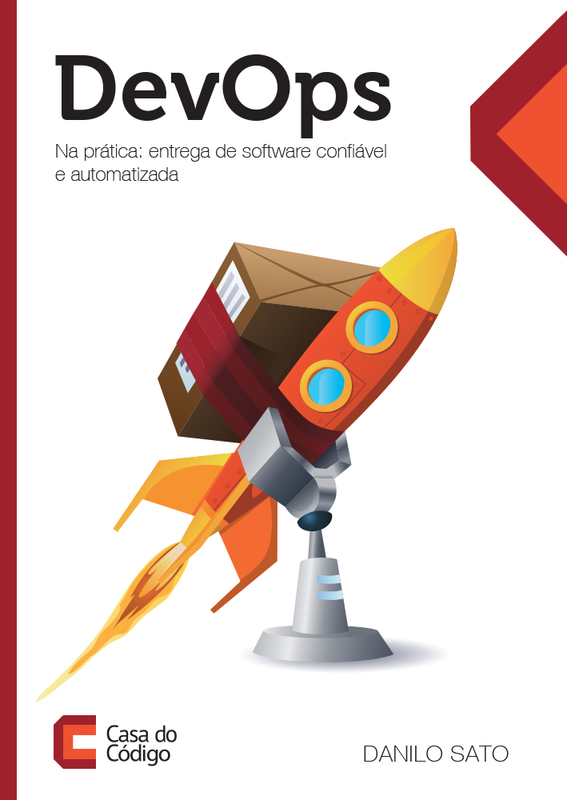 do desenvolvimento iterativo-incremental e da importância de medir a velocidade do time em cada iteração, usando apenas blocos de Lego!